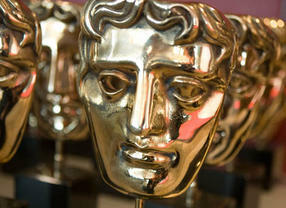 The BAFTA Craft awards for television took place about a fortnight ago which I usually also get quite excited for as it rewards the creators and people behind the scenes. However, this year I wasn’t that enthused over the nominees for the craft awards so I only caught up on the results after the ceremony instead of following it religiously on Twitter in real time. I haven’t seen all the programmes nominated (even the popular and recurring ones) and the news/factual programmes are hard to predict so I won’t be doing a full prediction blog post like I did ahead of the Oscars. I will pick out some of my favourite programmes and see what competition they are up against. Comedy and Comedy Entertainment Programme I am torn between two programmes in this category: Charlie Brooker’s Weekly Wipe and The Graham Norton Show. Charlie Brooker’s Weekly Wipe is a funny satirical look at the week’s news. I found some parts of the last series a bit slow but his Election Wipe episode on Wednesday was spot on and absolutely hilarious. However, I think that The Graham Norton Show will probably win it as Graham’s relaxed chat show is consistently funny. Entertainment Performance/Entertainment Programme Strictly Come Dancing has been nominated for entertainment programme and Claudia Winkleman has been nominated for entertainment performance for Strictly. As if you couldn’t tell from some of my other blog posts, I am a massive Strictly fan so no guesses that I would like Claudia and Strictly to win in their respective categories! I think Claudia was a great addition to the presenting team on the last series of Strictly. Scripted Comedy I would like Harry & Paul’s Story of the Twos to win in this category. 2014 was the fiftieth birthday of the BBC Two channel and to celebrate there were many programmes about the history of the channel. This was great news for a television geek and BBC/public service broadcasting supporter like me. Harry & Paul’s Story of the Twos was literally the history of the channel’s programmes as told by Harry Enfield and Paul Whitehouse doing various impressions. Their mash up of all panel shows was just excellent! International Haven’t seen any of the nominations apart from on advertisements! However, thought it was interesting that at least two of the nominees House of Cards and Orange Is The New Black (I’m not as familiar with the other two nominations to know what channel they are broadcast on) are Netflix products. This is a very interesting nod to new methods of viewing television and how awards can be given to other technologies whilst all the British BAFTA nominees are traditional television programmes. Radio Times Audience Award I think this will be the best and most surprising award of the evening. It is the only award of the evening that is voted for by us, the public. The nominees are Cilla, Eastenders, Game of Thrones, The Great British Bake Off, Sherlock, Strictly Come Dancing and The Missing. Cilla and The Missing have had brilliant reviews but I wonder if they will have been as popular with audiences as the other nominees undoubtedly are. I’d quite like Strictly or Bake Off to win as they are consistently popular but also quality programmes in terms of their production values which I think is also recognised by audiences. However, Eastenders could win it due to their incredible success of 30 years and all the attention surrounding the Who Killed Lucy Beale? storyline. Although I haven’t watched Eastenders regularly for many years, I did tune in for their special ‘live’ week and all its spinoff episodes/tie-in programmes. The fully live episode centering on the Beale family was incredible – the acting was brilliant and an emotional conclusion to that strand of narrative.